If you’ve had a day in your work life where you’ve walked away from work in the evening feeling like a big ol’ failure…. Good. I virtually high-five you! Brownie points if you’ve had this happen over 100 times. 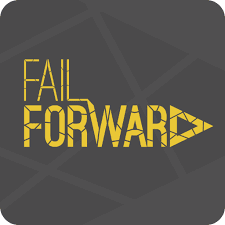 It’s a truth widely known but rarely discussed that the path to success is built with failure. Feel free to research and dispute this, but you’ll quickly find that those on top have more failures than successes. It’s one thing to know and accept this information, it’s a completely different animal to try and cope with it. How does one actually deal with failure after failure? How do they then turn them into building blocks in hopes that they’ll one day turn into something successful? Since I’m seeing a construction theme here, I’ll continue by telling you that failure is the bricks, success is the mortar to your empire you’ll now set out to build. Everyone fails, social media is out there to try and convince you otherwise, but believe me, everyone fails. Personally, I fail multiple times a day. When you fail, don’t toss it to the side, don’t forget it, don’t hide it! Analyze it, where did you fail? Where was the breaking point? 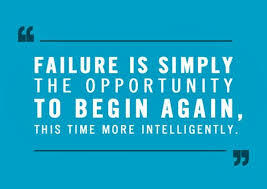 Start from the beginning and break that failure down. Give it substance, give it something you can hold onto, turn it into a brick. Get so much substance and information out of that failure, that it has nothing left to do but be a solid piece of rock. Then try again. Here’s a secret: you’ll probably fail again on your next attempt, but that’s ok. It’s NORMAL. Those CEO’s, the celebs we all see as successful are the one’s who kept building bricks, over, and over, and over. The people you see idolizing them and wishing they would get that ‘big break’... they’re the one’s who gave up after the 1st, 2nd or 3rd bricks. Although I’m wishing you down a road of hardship, failed efforts and trials - don’t worry, there’s light in this depressing tunnel! You will succeed. You will have lots of efforts that pay off, that reward you and that actually work! But don’t think you can just leave it at that. Once you have a success, you must make it stick. 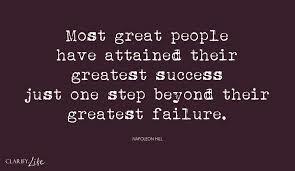 Analyze it, which failures resulted in this success? What did you change that made it all magically work? Just like your failures, you give this success substance, make it sticky, and then you use it as the mortar to tie your failures together. Years down the road, at the top of your empire, if you’re honest with yourself, you’ll be grateful for all those failures, and if you made your successes strong enough, you’ll find yourself at the top of everything you’ve built. Who knows, if you’re in construction you might actually have a non-metaphorical empire to revel in! As we begin to prepare each of our groups for Membership Extravaganza, many of us will have failures, but accept it, analyze it, and turn them into bricks to build up your chapters. Don’t be afraid to share these ‘oopsie’ moments with the rest of your chapter members, we’re all here to support each other, as business people, chapter members and as human beings. Learn from each others failures, celebrate them together and never tire of building what you’ve decided to build in this world.